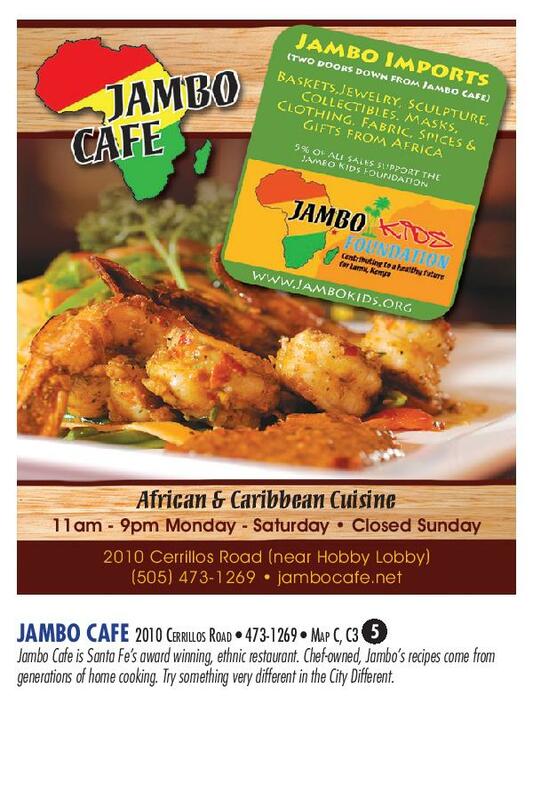 Jambo Cafe is Santa Fe’s award winning, ethnic restaurant. 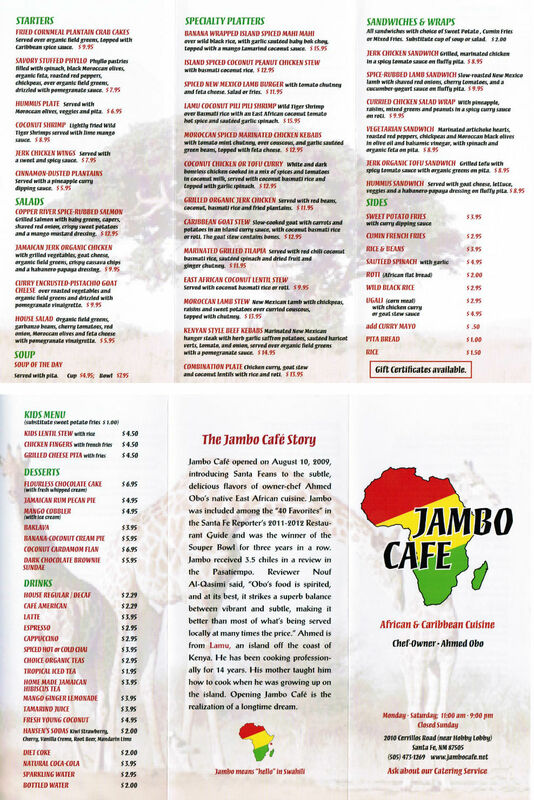 Chef-owned, Jambo’s recipes come from generations of home cooking. Try something way different in the City Different.